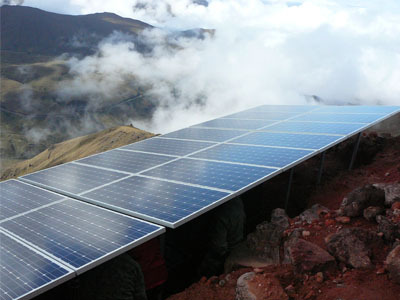 Zytech Solar participates in project to implement telephone and Internet in Peru. 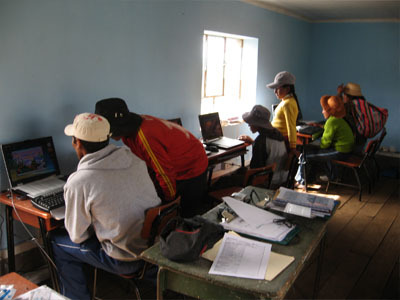 110 installations were carried out to bring wide band Internet and telephone into rural isolated areas. A new project of great social value is going to be carried out in Peru using photovoltaic modules made by Zytech Solar, a Spanish company that continues consolidating their commercial presence in all of Latin America. On this occasion, it involves a project of more than 100 isolated photovoltaic installations for communication stations in Peru, awarded to Telefónica through FITEL (Fondo de Inversion en Telecomunicaciones/Telecommunications Investment Fund). The supply of 221kW using modules will be carried out by Enerquímica SAC, which was awarded the materials supply contract for this project. The Peruvian company will deliver 1300 Zytech Solar 170W modules for more than 100 installations of approximately 1kW, which will feed small rural Wideband Internet installations destined for areas without access to the electrical grid. 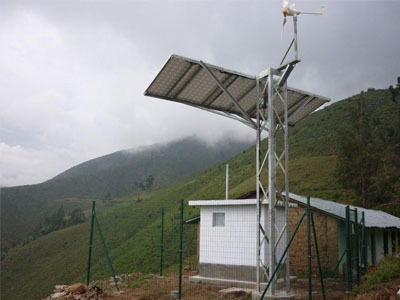 For communities without access to the grid, these small photovoltaic installations of 6 or 7 photovoltaic modules allows supplying electrical power to VSAT (Very Small Access Terminal) stations in order to provide telephone and/or Internet services to homes. This project is being carried out throughout Peru’s entire geographic territory and one of its objectives is to reach a teledensity of 15 fixed lines per 100 population and 80 mobile lines per 100 population, incorporate subscription type telephone and/or mobile service to all districts lacking such services and substantially increase Internet access and develop wideband in Peru, reaching one million wideband connections at the end of the period. This is a project that has a high social component since its aim is the universalization of information and communication technology. Its purpose is to incorporate using wideband to provide public telecommunication services as well as the use of technologies, since the universal Access Principle recognizes the need to provide state of the art services to rural areas and promote their usage through relevant training. Therefore, this project pays special attention to coverage in areas of preferred social interest. The project will begin to be executed in September by Telefónica itself. Zytech has previously participated in several projects in Peru such as supplying modules for the first roof installation for connection to the grid in Peru, which was carried out by Q-Energy Peru SAC using glass-glass integration modules at the Open Plaza shopping mall of Angamos in Lima. The installation consisted of a semi-transparent roof made of 120Wp glass-glass modules that let sunlight pass between the photovoltaic cells and generates electricity, which is then sent to the grid. Also, Q-Energy Peru SAC using Zytech Solar modules was awarded 360kW projects aimed at providing electrical power to homes in isolated communities. 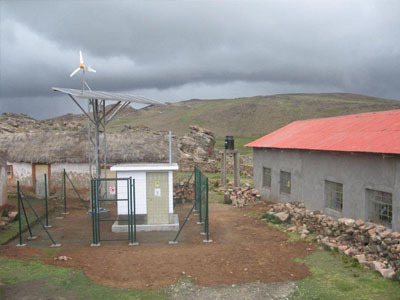 This project has benefited all the family communities in the municipalities of Layo (Cuzco), Sepahua (Ucayali), Lampa (Puno) and Alto Peru (Cajamarca), among others. In total, more than 1000 80Wp kits have been installed with 4750 Zytech mono-crystalline modules and batteries. These easy to use kits allow families without access to the grid to enjoy lighting for their homes as well as power for a radio or a small television. For the Spanish company, which has its corporate headquarters in Zaragoza, this type of project brings great satisfaction because while photovoltaic solar energy in developed countries is an environmentally sound contribution and a safe and profitable investment, in developing countries – with many people not being able to access the grid – it is the only reasonable option for obtaining power. “The ability to perform activities we take for granted, such as reading, studying, listening to the radio or watching television makes a substantial difference in the lives of these people, who until now have not had access to electricity”, said David Moneo, vice president in charge of sales for Zytech. 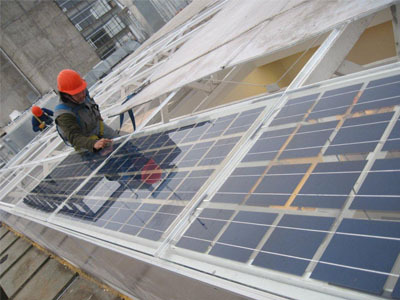 The first grid-connected installation in Peru using Zytech Solar modulesZYTECH Solar increases its productive capacity in Spain and is awarded the Factory Inspection of modules manufactured in Europe.